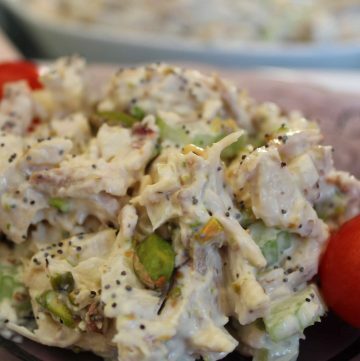 Pistachio Poppy Seed Chicken Salad is a light, flavorful salad with a little kick from the Dijon-Buttermilk dressing. 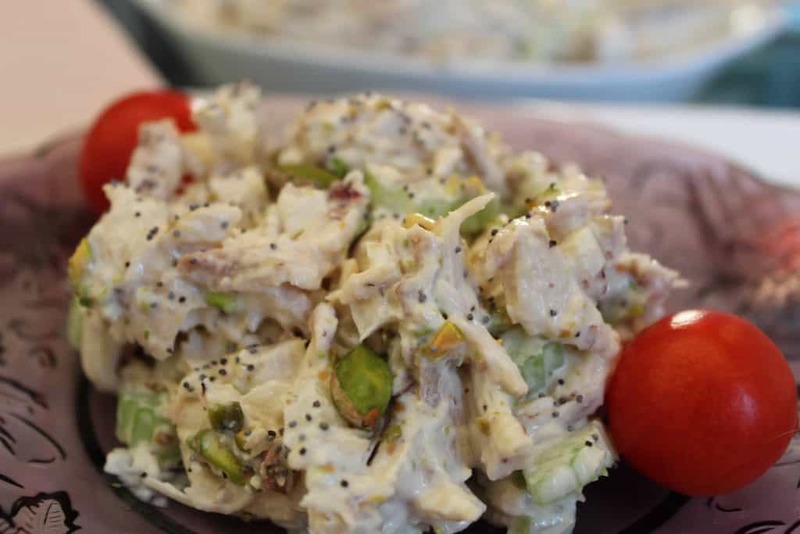 This tasty chicken salad gets sassy with the addition of Pistachios, Poppy Seeds and a dash of a spunky Dijon-Buttermilk dressing. 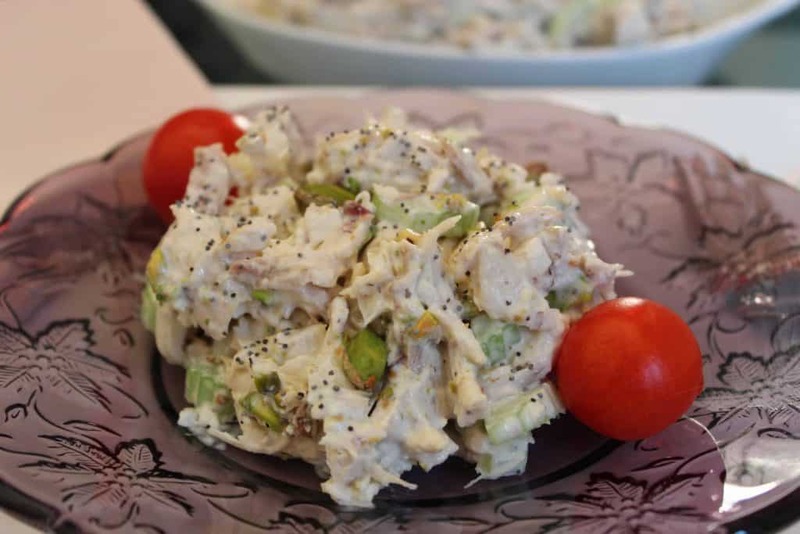 A great dish to serve at a luncheon, wedding, or baby shower! Looking for other light luncheon recipes? 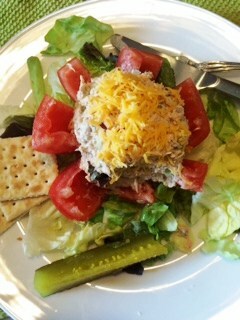 You might like the Tuna Stuffed Tomato!